Y-mAbs Therapeutics uses Alphalyse characterization services to investigate batch differences of their mAbs. The results help them optimize their purification steps and are useful for regulatory documentation. Y-mAbs Therapeutics, Inc (Y-mAbs) is a late-stage clinical biopharmaceutical company, listed on NASDAQ. 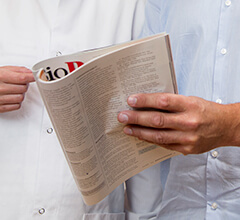 The company devotes its energy to cancer treatment with antibody-based therapeutics, which has let to two pivotal-stage product candidates—Naxitamab and Omburtamab. 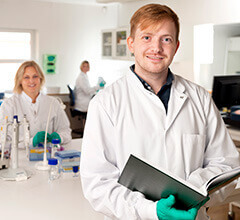 Y-mAbs needs protein analysis services on an ongoing basis to support the process development of new therapeutic products. 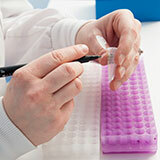 The services include characterization of monoclonal antibodies. 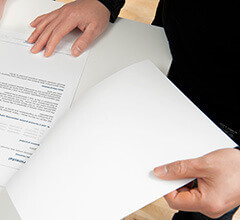 After searching the market for possible lab partners, Y-mAbs entered into a close collaboration with Alphalyse, for top-of-the-line LC-MS analyses including peptide mapping, intact mass determination and characterization of post translation modifications, such as disulfide bridges and glycosylations. 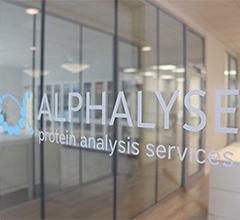 "We really enjoy collaborating with Alphalyse on projects related to protein characterization for optimization of manufacturing processes. Not only do we gain access to their hands, but we also get to pick their brains for mass spectrometry knowledge."